Daily Mirror - Who is this Sirisena? Born on September 3rd, 1951to a farming family at Laksha Uyana, in Polonnaruwa Maithripala Sirisena is the first President produced from historic Rajarata. Incidentally, he has been born after a few hours of forming the SLFP, the political alternative to the much powerful and ruling UNP of the day by late Prime Minister S.W.R.D. Bandaranaike. His mother was a school teacher. His father, who was in active service in the Second World War chose paddy farming after the end of the war and moved to a farming colony in Polonnaruwa to continue the carrier of his forefathers as Prime Minister D.S.Senanayaka gave state lands to ex-servicemen for paddy cultivation. Sirisena had his education at Thopawewa Maha Vidyalaya and Royal College, Polonnaruwa. Even during his school days he has showed skills in leadership and had a knack for politics and social and community service. In order to further his political ambitions and obtaining ideological acumen, Sirisena joined the Communist Party of Ceylon (CPC – Peking) while still a school boy and closely associated with party leader N. Shanmugadasan in party activities. The fate did not wait much longer to gift this young student leader for his abilities and ambitions as then SLFP Member of Parliament in Polonnaruwa, Leelaratna Wijesingha chose him as the secretary of the SLFP Youth Organization in Polonnaruwa and he was only 17 years of age. 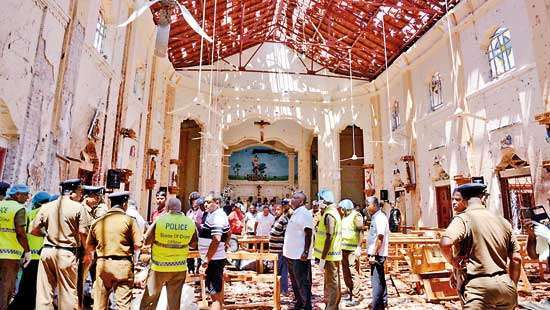 However, the active politics at such young age also had negative impacts and he was arrested and put behind bars at Batticaloa jail during 1971 insurrection. Following his release from prison, he joined All Ceylon SLFP Youth Organization led by Anura Bandaranaike and joined politics at national level. After serving at a number of state institutions, Sirisena obtained the SLFP membership in 1978 and launched his long political carrier that culminated yesterday after electing as the 6th Executive President of Sri Lanka. 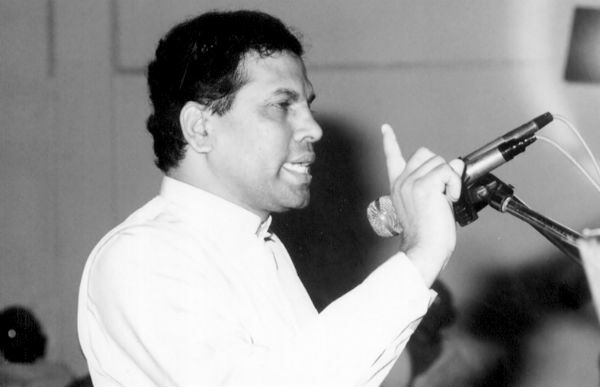 In 1981, he was chosen as the President of the SLFP Youth Organization and later as the Treasurer. He took over the responsibility of the Secretary of the organization after Basil Rajapakas joined the UNP at the 1981 Presidential poll. Subsequently, he was appointed the Polonnaruwa SLFP chief organizer by the SLFP hierarchy. In 1989, he was elected Parliament for the first time and in 1994 appointed as the Deputy Minister of Irrigation by the Peoples Alliance government and promoted as the Minister of Mahaweli Development at the 1997 reshuffle. Since then there was no looking back and Sirisena moved steadily in the political l;adder and in 1997 was appointed as the General Secretary of the SLFP. From 1997 up to his resignation as the General Secretary of the SLFP and Health Minister to challenge former President Mahinda Rajapaksa, he held several important cabinet portfolios and most significant achievement was his green revolution during the global food crisis that saved Sri Lanka. As the Agriculture and Mahaweli Development Minister he was able to motivate farmers to grow enough paddy, vegetables, fruits, grains and other foods locally under the sloga ‘Api Wavamu – Rat Nagamu’ and Sri lanka was able to stand the global food crisis. The government decision to give farmers a bag of fertilizer for Rs. 350 was the result of his efforts and saved the Paddy Marketing Board from privatization. As the Health Minister he introduced legislations to cover cigarette packets with pictorial warnings and to introduce a National Medicinal Drug Policy based on medicinal drug policy of respected medical personality Dr. Senaka Bibile that would benefit the entire country and he had to fight with many multi national companies and powerful people to this. 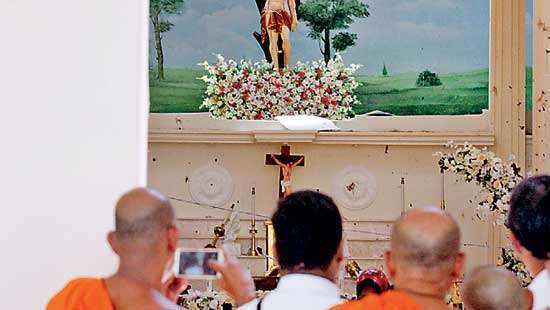 He has been a prime target of the LTTE and had a narrow shave from a suicide bomber who targeted him at Boralasgamuwa during the ethnic conflict. His fighting qualities were well displayed when he decided to contest the Presidential election when he decided to contest the powerful UPFA and President Rajapaksa. The election of President Sirisena with a mandate from Sinhala, Tamil and Muslim voters indicate that he is a President of all communities and ethnicities and a ‘Maithri Palanayak will dawn from today to entire Sri Lanka under a government that pledges to put an end to corruption, nepotism, bad governance and politicization of the judiciary. People always brings the great heart on their head. CONGRATULATIONS from the heart of a general citizen of Bangladesh to Mr.Maithripala Sirisena. People, from their time of birth have lived in hope for peace , tranquility and progress of the nation. when there is prosperity to the nation, it the people who will benefit from the prosperity. Let us hope that the new President will herald a new dawn of hope to the people and nation without racism or partiality, weed out corruption and feed everyone with a one spoon. He seems a good man with good policies.Hope he will not try to make memorials for his dead father like MR at major Temples with state funds. MR remembered about the Bandaranailkes only after nominations. Thats very bad.